I make this recipe a lot. I often turn to it when I need something quick and simple. There are not too many ingredients, I usually have some if not all of them on hand and everyone in my family likes it. A real plus. The first time I made it was in 2006 (among my many notes on a recipe is usually the date I first tried it) and I have been making it regularly ever since. I have substituted onions for the shallots when I am in a pinch, though I prefer the shallots. I have also substituted half & half for the heavy cream, though the heavy cream is better. You can definitely tweak this recipe to your liking, maybe adding other spices or using hot Italian sausage instead of the sweet. Hey and use that Cuisinart Mini-Prep Plus that I talk about! It’s a time saver for choppin’ up those shallots and garlic!! Heat oil in large saucepan over medium heat. Add shallots and garlic and saute until softened, about 5 minutes. Add sausages, breaking up the sausage by pulling it with 2 forks in opposite directions and saute until no longer pink, about 5-10 minutes. 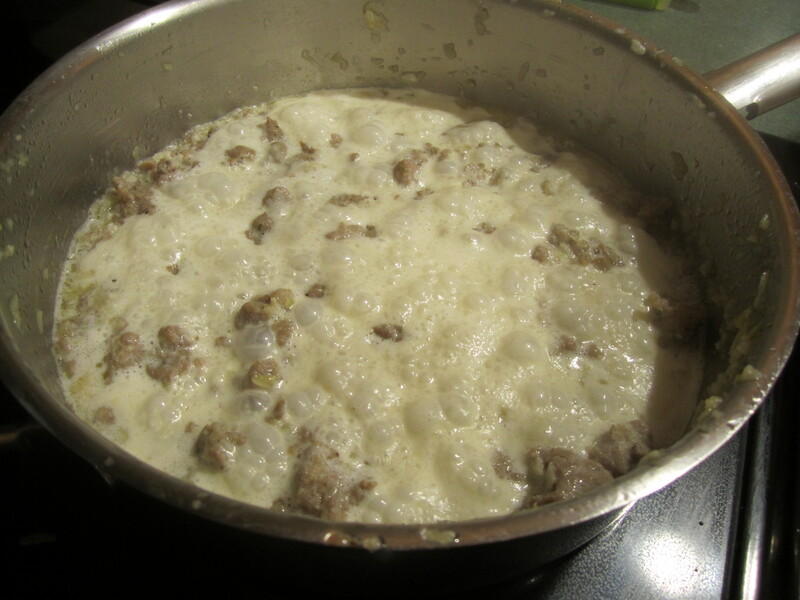 Remove most of the oil and fat from the sausage mixture by draining it. (Put cover over pan, with cover ever so slightly askewed and holding onto the cover tightly, tip pan carefully, draining fat off.) Add cream and simmer 5 minutes. Add tomatoes with their juice and sage and simmer until sauce thickens, about 15-20 minutes, stirring occasionally. 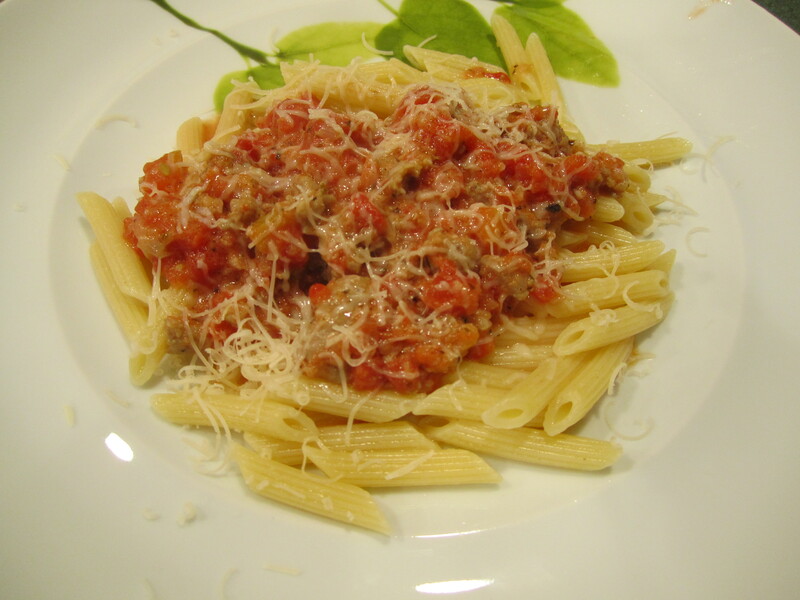 Serve over pasta of your choice and plenty of grated Parmesan cheese.